Shcherbina M. O., Vygovskaia L. A., Kapustnik N. V.
In recent years, attention is drawn to the growth of intrauterine infections, which are responsible for the entire spectrum of antenatal pathology: infectious diseases of the fetus, the vices of its development, stillbirth, prematurity, development of placental insufficiency and intrauterine growth retardation. The role of infection in the pathogenesis of pathological conditions emerging in the perinatal period, in newborns is marked. In the development of the fetus infectious lesions, severity of disease, localization of the pathological process, the pace of implementation and manifestations occurred pathology are important type of pathogen, its virulence and the penetration of microorganisms from the mother to the fetus. The review presents the data of influence of intrauterine infections on the embryo, fetus, the course and outcome of pregnancy, as well as the status of the newborn. Key words: intrauterine infections, intrauterine contamination, fetus, pregnancy, gestation course. 1. Azimova EI, Sultanov SN, Nishanova FP. 2011. On the issue of prevention of recurrence of genital herpes in pregnant women with antenatal fetal death in anamnesis. 2: 238—240. 2. Beznoshhenko GB, Dolgih TI, Krivchik GV. 2013. Intrauterine infection: (questions of diagnostics and medical tactics. Moskow: Medkniga; N.Novgorod: NGMA: 88. 3. Borovkova EI. 2013. The interaction of pathogens with the body of the pregnant woman as a risk factor for intrauterine fetal infection. 2: 95—98. 4. Bulavenko OV. 2012. Perinatal consequences of prenatal infection. Svit medytsyny ta biolohii. 4: 142—144. 5. Vedoshchenko TV, Klycheva OI, Lazareva GA, Khuraseva AB. 2014 Influence of growing bacterial infection on miscarriage. Chelovek i ego zdorov'e. 1: 49—51. 6. Podzolkova NM, Skvorcova MJu, Mel'nikova NI, Ostrejkov IF. 2009. Intrauterine infection: modern problems. Akusherstvo i ginekologija. 3: 27—32. 7. Khamadyanov UR, Rusakova LA, Khamadyanova AU et al. 2013. Intrauterine fetal infection: the present view of the problem. Rossiyskiy vestnik akushera-ginekologa. 5: 16—20. 8. Zaplatnikov AL, Korovin NA, Korneva MYu et al. 2013. Intrauterine infection: diagnosis, treatment, prevention. 1: 14—20. 9. Tkachenko IuP, Lezhenko HO, Reznichenko IuH et al. 2012. Intrauterine infection. Epidemiology, clinic, diagnostics and modern principles of therapy in pregnant women and children. Doneck: Zaslavskij A.Ju. : 141. 10. Tirskaya YuI, Belkova TN, Rudakova EB et al. 2012. Medical tactics at pre-natal infections. Akusherstvo i ginekologija. 8: 42—47. 11. Greenough A, Osborne J, Sutherland S (eds.). 2000. Congenital, perinatal and neonatal infections. Moscow: Meditsina: 288. 12. Hlazkov IS. 2000. Features of the functional state of the fetoplacental while herpes infection. Bukovynkyi medychnyi visnyk. 3: 44—47. 13. Gomberg MA. 2011. Reproductive health and genital chlamydial infection. Ginekologija. 1: 13—16. 14. Davydova IV. 2013. Prevention of perinatal infection and its consequences in pregnant women. Reproduktivnaja jendokrinologija. 3: 17—35. 15. Dolgoshapko ON. 2010. The role and place of anaerobic infections in the development of obstetric-gynecologic diseases, its treatment and prevention. Zdorov'e zhenshhiny. 10: 41—43. 16. Zhabchenko IA. 2013. Features of functioning and factors of virulence of uropathogenic stamms of Esherichia coli and their value in clinical practice. Zdorov'e zhenshhiny. 1: 114—116. 17. Makarova OV, Aleshkina VA, Savchenko TN et al. 2009. Infectious Diseases in Obstetrics and Gynecology. Moscow: MEDpress-inform: 464. 18. Kvashnina LV, Shunko E E, Matvienko IN. 2015. Children of the first years of live: basic indicators in the context of achieving the Millennium Development Goals in Ukraine. Part I. Perinatologiya i pediatriya. 4: 69—73. 19. Kuz'min VN, Adamjan LV. 2005. Viral infections and pregnancy. Moscow: Dipak: 176. 20. Lekhan VM, Ginzburg VG. 2012. 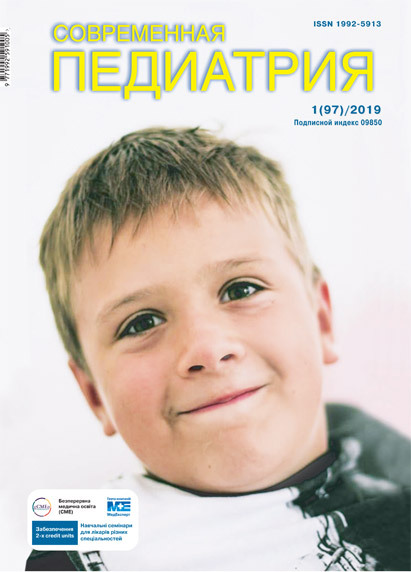 Perinatal mortality in Ukraine: achievements and problems. Ukraina. Zdorovia natsii. 1: 15—25. 21. Likhachova AS, Redko II, Likhachova NV. 2013. Mixed-TORCH-infections assosiated with acute inborn viral infections and sexually transmissed infections. Tavricheskij mediko-biologicheskij vestnik. 2: 121—124. 22. 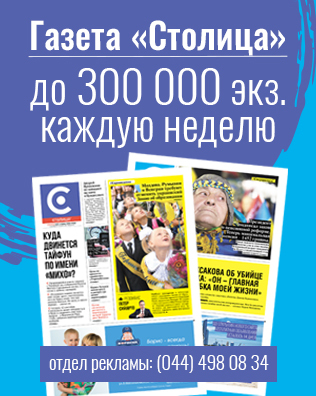 Makacarija AD, Dolgushina NV. 2002. Herpetic infection. Antiphospholipid syndrome and fetal loss syndrome. Moscow: Triada-H: 80. 23. Makarov OV, Kovalchuk LV, Gankovskaya LV et al. 2007. Miscarriage, infection, innate immunity. Moscow: GJeOTAR-Media: 175. 24. Nezgoda II, Onofriychuk ES, Shchur VV. 2011. Perinatal and clinico-epidemiological aspects of cytomegalovirus infection. Perinatologiya i pediatriya. 2: 16—18. 25. Dar'ina MG, Tehova IG, Movchan KN et al. 2015. Unsolved problems of statistical data on intrauterine infections. Medicinskij al'manah. 5: 71—74. 26. Baranovskaja EI, Zhavoronok SV, Suprun LJa, Voroneckij AN. 2004. The course of pregnancy and delivery in patients with herpesvirus infections. Akusherstvo i ginekologija. 5: 49—50. 27. Pavlov OG. 2010. System analysis of newborns infections reasons in early neonatal period. Vestnik novyh medicinskih tehnologij. 3: 74—75. 28. Zhiljaev NI, Vasil'eva NA, Zhiljaev NN et al. 2011. Perinatal infection. Ternopol': 320. 29. Prilepskaja VI, Fofanova IJu. 2007. Mycoplasma infection and pregnancy. Akusherstvo i ginekologija. 4: 5—8. 30. Prokopjuk VJu. 2008. Mycoplasmosis in obstetrics and gynecology practice. Medicinskie aspekty zdorov'ja zhenshhiny. 5: 61—65. 31. Vorobyova ІI, Skripchenko NY, Chernenko TS et al. 2014. Prevention of intrauferine in fection and pregrancy maintining in women with reproductive losses in anamnesis. Neonatolohiia, khirurhiia ta perynatalna medytsyna. 2: 137—140. 32. Stepanenko VI, Ivanov SV. 2012. Modern therapeutic correction of the secondary immunodeficiency with medical nanotecgnology in the complex treatment of patients with urogenital infections. Zdorov'e zhenshhiny. 8: 171—177. 33. Stepankovskaja GK., Priluckaja AB. 2010. A modern approach to the treatment of vulvovaginal candidiasis in pregnant women. Zdorov'e zhenshhiny. 9: 80—82. 34. Fofanova IJu. 2007. Features of pregnancy in the presence of urogenital mycoplasmas. Ginekologija. 2: 67—70. 35. Hrjanin AA, Stecjuk OU, Andreeva IV. 2012. Chlamydia infection in gynecology and midwifery: the tactics of conducting patients in accordance with the contemporary recommendations in Russia and abroad. Lechashhij vrach. 3: 30—37. 36. Chajka VK. 2006. Infections in obstetrics and gynecology. Doneck: OOO «Al'mateo»: 640. 37. Jur'ev SJu. 2006. Mechanisms of formation of complications of pregnancy on the background of urogenital chlamydia trachomatis (PhD Thesis). Tomsk: 43. 45. Gubelin HW, Mart?nez TMA, C?spedes PP et al. 2006. Molecular detection of Mycoplasma genitalium in men and pregnant women. Rev Chilena Infectol. 23; 1: 15—19. 51. Workowsky KA, Berman S. 2010. Centers for Diseases Control and Prevention (CDS). Sexually Transmitted Diseases Treatment Guidelines. MMWR Recomm Rep. 59(RR-12): 1—10.